Edge Studio is a valuable resource to many voice over talents across the land as it provides resources for coaching and training plus an avenue for casting. They reached out to me recently with some changes/promotions/additions to the staff so I figure now is a great time to feature them on the blog. Below find a short interview with David Goldberg, the head honcho at Edge Studio. The original press release is also embedded below the interview. 1. Thanks for checking in from Edge Studio. 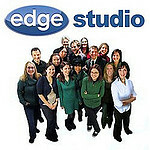 Before the news and latest developments, tell us a bit about what you guys do at Edge Studio. Are you coaching, an agency, both, neither? We offer education and production services. Our education team of leading instructors around the country are available for mentoring and practical training to propel budding voice actors to working status. We also have a career resource center which provides established and veteran voice actors a home-base to broaden their careers. Our full-time team production includes engineers, casting agents, directors, and admin staff, networked with translators, voice actors, and voice over experts of every type. We host webinars and tele-classes worldwide in addition to our in-studio training in our New York City, Connecticut, Washington D.C., Atlanta and Los Angeles locations. We’re not a talent agency or artist management company, but we deal with them every day. 2. Some familiar names have popped up on the radar over there…What exactly is the big news? We’ve experienced considerable growth over the past couple of years, and it was time to expand the management team to bring more skill sets to the company and to add more hands to get the work done! We have so many opportunities available to us to further develop our relationship with voice actors and producers, and we needed to get organized and to add management capacity to pay proper attention to these opportunities while continuing to provide the high level of quality and service our existing clients expect from us. An additional benefit of our recent appointments and promotions is that they will free me up to spend more time doing what I love most – teaching, directing and evangelizing on behalf of the voice over community. 3. How do these changes impact your business in general? It’s business as usual when it comes to the day-to-day. Although we’ve seen considerable growth we’re still a small, responsive company. I’m still very involved in the day-to-day operations. These new roles and promotions are a direct response to the growth we’ve been experiencing. In order to maintain the quality of work our clients expect from us, we needed more people to get the work done. And I’m happy to say that we found some people that are a great fit for our team who believe in the same things we do – integrity, quality and community. 4. What will it mean, directly, to the current and future talent on your roster? This means more and better casting opportunities for our growing family of talent. 5. I notice based on your website and from what I know, you guys seem about 50/50 – Booking Talent / Coaching Talent. Is that a proper characterisation? If not (or if so) tell us more about your business and what talent should expect from you. ie. can I call you up if I have a big audition I really want to nail and get a one time coaching session? Do I hire you for weekly, monthly, phone, in person, can I just be a talent and not use you for coaching? 6. If people are interested in finding out more about how you can help their career are you open for submissions now? Absolutely. That’s the best part! I’m already freed up and ready to coach and direct. Call me! NEW YORK, NY – Edge Studio adds to executive management team as it prepares for growth in voice over education and production. David Goldberg, founder and Chief Edge Officer of Edge Studio, has announced the appointment of two new executives to the Edge Studio management team, and the promotion of two team members to new leadership roles as Edge builds on its recent growth. Graeme Spicer joins the company as Managing Director. Spicer brings a unique perspective to Edge. He has over 25 years of experience in marketing, strategic planning, business development and operations management in companies from small startups to multi-billion dollar global organizations. He is a faculty member at OCAD University, where he teaches on a part-time basis courses in marketing research, strategic planning and professional best practices. He is a working voice actor and is an active member of the voice over community. Also joining the company is Leanne Linsky as Director of Marketing & Community Development. Linsky has enjoyed a successful career in leading the marketing activities in growing companies, and brings considerable expertise and creativity to the Edge team. In recent roles, Leanne played an integral part of mergers and acquisitions and created team-building, new hire on-boarding and other training programs. When not working at Edge, she is a writer, actor, and stand-up comedian. Current Edge Studio employees Joey Schaljo and Kristen Thorne have been promoted to Director of Education and Director of Production, respectively. Schaljo and Thorne have been key members of the Edge team through Edge’s recent period of growth, and now are charged with the overall leadership of their respective business units. 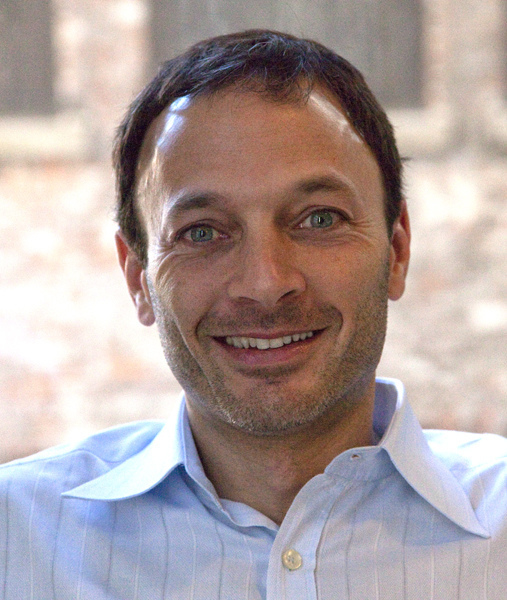 David Goldberg is one of the country’s most active voice over producers and coaches, and is sought after as a keynote speaker at industry events across the country. He has directed thousands of voice over sessions and has personally coached thousands of voice actors since founding Edge Studio in 1988. A leading authority in the voice‐over industry since 1988, Edge Studio specializes in the production of voice recordings, and the training of new and established voice actors, narrators and other spoken‐word performers. Edge Studio facilities have produced or recorded more than 13,000 voice over projects, spanning all genres. Edge Studio has facilities in New York City, Connecticut, Washington D.C., and Los Angeles, and regularly produces and trains remotely via telephone, ISDN, webinars, Skype, and other technologies.